Q: Who is a Pre-Pharmacy student? A: A pre-pharmacy student is a student who is taking the courses necessary to be considered for admission to the professional Doctor of Pharmacy program or the BS Pharmacology & Toxicology program at the UW-Madison School of Pharmacy. At UW-Madison, pre-pharmacy is not a major, it is an intention. If you are a current pre-pharmacy student, please submit your name, mailing address, email address, and phone number to Student & Academic Affairs. Q: Do I have to apply to the Pre-Pharmacy Program? A: At UW-Madison, no specific requirements or applications are needed to pursue a pre-pharmacy path. Pre-pharmacy students can receive academic advising through our structured pre-pharmacy advising program. Most UW-Madison students who are pursuing pre-pharmacy plans are admitted to the College of Letters & Science. Our pre-pharmacy advisor is available to meet with admitted UW-Madison students (incoming freshman) at the student orientation, advising and registration (SOAR) program. Students at other colleges and universities receive academic advising from the designated pre-pharmacy or pre-health/professional advisors at their campus, but are strongly encouraged to initiate and maintain contact with pre-pharmacy/admissions advising staff at our School of Pharmacy! Pre-pharmacy advisors are available to meet with prospective high school students, transfer students, and returning adult students. Q: How can I get more information about your program and/or how can I meet with an academic advisor? A: Prospective students are encouraged to meet with our Pre-School of Pharmacy advisor to learn more about the School of Pharmacy’s academic programs and requirements, career opportunities, curricula, admission criteria, and application procedures. Please contact our Student & Academic Affairs Office to set up an advising appointment at (608) 262-6234. Please visit our website to submit a request to “join our email list”. You will be added to a specific list (high school, transfer, or UW-Madison student) and will receive periodic messages from our office regarding admissions updates, advising information, and recruitment events! Academic and admissions advising is offered throughout the year via individual in person or phone appointments as well as group sessions and campus visits. We recommend that students maintain a connection with our office at least once a semester. Q: Can I be admitted to the Doctor of Pharmacy (PharmD) program directly upon graduating from high school? A: No. We do not participate in a direct admit program. Students interested in the PharmD program must complete the PharmD prerequisite course requirements (72 college credits minimum). Completion of prerequisite coursework does not guarantee admission to the PharmD program. Q: What are the required PharmD prerequisite courses? A: The PharmD prerequisite course work has been carefully selected to give you the foundation needed for success in the Doctor of Pharmacy program. The PharmD prerequisites can be completed at any accredited college or university. Click on this link to see the listing of our prerequisite coursework for the PharmD program. Q: Where can I complete the transfer equivalencies? A: Transfer equivalency courses may be completed at accredited colleges and universities. Please review our equivalency tables for many Wisconsin and some out of state colleges and universities. If your college or university is not listed, please contact a pre-School of Pharmacy advisor at 608-262-6234 for additional information. Never make the assumption that a course will meet the requirements. Q: How long will I be in school to become a pharmacist? A: Typically, a student will be in school for 6 – 8 years after high school to earn a PharmD degree. The UW-Madison School of Pharmacy is a four-year professional program leading to licensure as a pharmacist. To be eligible for admission consideration, applicants must complete specific prerequisite courses which typically take 2 – 3+ years to complete. Q: Do you require a bachelor’s degree to be eligible to apply to the PharmD program? A: No, we do not require a bachelor’s degree. Please keep in mind when applying to multiple pharmacy programs, that some PharmD programs do require a bachelor’s degree and prerequisites can vary slightly from program to program. Q: If I decide to obtain a bachelor’s degree (even though it’s not required), what major should I choose? A: ANY college major will work as long as the prerequisite courses are completed. At UW-Madison, pre-pharmacy is not a major but a path/intention. The PharmD program is a limited enrollment program so students should consider “parallel plans” which might include applying to PharmD programs at several schools of pharmacy and/or considering alternate undergraduate majors. Pre-pharmacy coursework fits well with many majors in the biological sciences, but students are encouraged to explore and choose majors that best reflect their interests and help them meet their academic goals. Your pre-pharmacy advisor can offer resources and referrals to other programs and services to help you investigate the different options available. Q: Does the PharmD Admissions Committee prefer students who obtain a bachelor’s degree prior to enrolling in the program? A: No. Preference is not given to students with bachelor’s degrees over students who do not obtain a bachelor’s degree. Q: How many students enroll in the PharmD program each year? A: Approximately 130-140 students enroll annually to the PharmD program. Q: Is preference for admission given to students who complete their pre-pharmacy coursework at UW-Madison? Q: Is preference for admission given to Wisconsin Residents? A: No. Preference is not given to WI residents. The Admissions Committee selects the most qualified students for admission into the Doctor of Pharmacy program. All students’ applications are evaluated equally. Q: What GPA do you require for admission into the PharmD program? A: The PharmD program does not have an explicit minimum GPA requirement. The GPA range for the most recent class was 2.8-4.0. The average GPA for the most recent class was a 3.5. We encourage students to aim for grades of B or better in all math/science prerequisite coursework. Students are strongly encouraged to repeat any of these courses in which a grade of C or below was earned. Grades in repeated courses will be averaged with all other coursework, meaning that the repeated grade does NOT replace the original grade earned in the course. Q: How is the GPA calculated? A: The cumulative GPA includes all postsecondary courses, including repeated courses. Applicants must submit all collegiate level transcripts directly to PharmCAS including military, technical or community college transcripts. Applicants who do not submit all college level transcripts will be disqualified from the admissions process. International transcripts must be evaluated by the World Education Services (WES) foreign transcript evaluation service. These evaluations should also be sent to PharmCAS. Grades earned for all courses (even if they are not related to pre-pharmacy coursework) are averaged together to determine a cumulative GPA. We also determine a math/science GPA which includes grades earned in the prerequisite math/science coursework (calculus, biology, general chemistry, organic chemistry and physics). Q: Do you use PharmCAS? A: Yes – The University of Wisconsin-Madison requires the submission of a PharmCAS application. The PharmCAS application opens in mid-July. Q: Do you have a rolling admissions process? A: Yes. The School of Pharmacy uses a rolling admissions process for the Doctor of Pharmacy program, which means that applications will be reviewed as they are completed. All applications and required materials must be submitted prior to review and prior to a potential interview invite. Be sure to apply early as interview dates begin to fill and the class begins to fill closer to the deadline. Q: Do you participate in Early Decision? A: Yes. We participate in Early Decision. The Early Decision program is a binding option for applicants who have decided that the UW-Madison PharmD program is their first choice and they will enroll if accepted. As an Early Decision applicant, you can apply to only one pharmacy degree program. If you are denied admission through early decision, you will be allowed to apply to other pharmacy programs as a regular applicant. If you are placed on the wait list for our program as an early decision applicant, you will be moved to the regular applicant pool, which allows you to apply to other pharmacy programs while still being considered for admission to our program. The application deadline for Early Decision is typically the beginning of September. All application materials must be submitted by the deadline. Please note: The July PCAT is strongly encouraged for early decision applicants. A guaranteed interview if you have a 3.0 GPA or higher. Demonstrating your interest to the Admissions Committee. Q: How can I establish residency if I am an out of state student? A: The UW-Madison, Office of the Registrar determines the residency status of students. More information about residency including frequently asked questions can be found on the Office of the Registrar’s site. A: Yes. International students need to complete all prerequisite coursework. All international coursework must be evaluated by World Education Services (WES). In addition to the required application materials, International applicants must also submit the TOEFL (if applicable), VISA/I-20 documentation, financial verification form, and funding documentation. International students must complete the Communication A (English Composition) prerequisite course and the Ethnic Studies (U.S. Diversity course) prerequisite course in the United States. Q: Can I transfer (advanced standing transfer)into the PharmD program? A: We do not accept advanced standing transfer students into our PharmD program. See our additional information about our policies and procedures regarding advanced standing transfer. Q: If I am not admitted to the PharmD program, may I reapply the following year? A: Students are welcome and encouraged to reapply to our PharmD program. All application cycles are self contained, meaning that you would need to resubmit all application materials for consideration for the next year. If you are not admitted, please consider making an appointment with us to discuss contributing factors that may have led to your not being accepted. We can discuss areas which the Admissions Committee members felt needed improvement and offer suggestions for how to strengthen your application in subsequent years. See more information about the reapplication process to the PharmD program. Notice of PharmD Reapplication Limit: A maximum of three (3) application attempts will be allowed. Students not accepted after their third application attempt will have to wait three (3) years to reapply from their last (or third) application attempt. Q: Will I lose any credits (from my university) if I decide to transfer to UW-Madison to complete my PharmD prerequisite course requirements? A: In general, credits earned at most accredited colleges and universities will transfer to the School of Pharmacy. Some courses from technical colleges and skills courses do not transfer to the School of Pharmacy. Retroactive foreign language credits transfer only if awarded in accordance with UW-Madison policies. Retroactive credits for math courses do not transfer. Credits awarded by a college for its own placement tests do not transfer. Q: What if I already have a bachelor’s degree or an advanced degree and I want to pursue a Doctor of Pharmacy degree? A: Applicants already possessing an undergraduate or graduate degree must fulfill all UW-Madison PharmD prerequisite course requirements in order to be considered for admission. The Admissions Committee is concerned about math and science course work that may have been taken more than ten years ago. Pre-School of Pharmacy advisors can assess individual cases and make recommendations. Regardless of any previous degree earned, the PharmD curriculum requires four years of study. Q: What if I have either a PharmD, Master’s Degree in Pharmacy, or Bachelor’s Degree in Pharmacy from another country? Is there an accelerated option for me? A: No. We do not offer an accelerated PharmD program. All applicants to the PharmD program must complete the PharmD prerequisite courses to be eligible for admission. While courses completed in another country may fulfill some of the PharmD prerequisites, it is extremely uncommon for previous coursework to fulfill all of the requirements. Please see NABP website to see if you are eligible to participate in the (FPGEE) the Foreign Pharmacy Graduate Equivalency Examination. Q: Do you require the PCAT? A: Yes. Applicants interested in the PharmD program must take the PCAT prior to the application deadline. More information about the PCAT including test dates and registration deadlines can be found at: www.pcatweb.info. PCAT scores over 3 years old will not be accepted. For example, PCAT scores older than January 2016 are not acceptable for Fall 2019 admission. Q: What classes should I have completed prior to taking the PCAT? A: Students are best prepared to take the PCAT for the first time after completion of math (calculus and statistics), general chemistry, general biology, and at least one semester of organic chemistry. Q: Do you recommend any type of preparation for the PCAT? A: Although we strongly encourage students to prepare for the PCAT, we do not endorse any particular study method. Many students have used study guides which can be purchased at local bookstores or on-line. Students also review course notes and textbooks. Q: Can I take the PCAT more than once? A: Yes. The School of Pharmacy will receive scores for each PCAT examination you take and will consider the highest composite and associated sub scores for decisions regarding admission. There is no penalty for taking the PCAT multiple times. Q: Do you require a minimum PCAT score? A: No. Currently there is no minimum PCAT score required. PCAT scores below the 50% will be viewed with particular concern by the Admissions Committee. The average composite PCAT score for the most recently admitted group of students was 79%. Q: What high school courses will prepare me for the PharmD prerequisite courses in college? A: High school preparation should include four years each of English (including grammar and composition), mathematics, and science (including biology, chemistry, and math based physics). In addition, courses which improve communication skills (including speech) are helpful. Some universities, including UW-Madison, require foreign language for admission. Remember that you will need to meet the admission requirements for the pre-pharmacy college of your choice. Advanced Placement (AP), International Baccalaureate (IB), accelerated, and honors courses are also good choices that, in general, prepare you for college. Q: Are prerequisites accepted if they are from a combination of two or more colleges? A: We recommend that sequence courses (General Biology, General Chemistry, Organic Chemistry) be completed at one institution. You may take your prerequisites at different schools; however, you need to be careful to plan accordingly. If you begin a science series at one school and finish at another, it is possible that all of the required components of the course descriptions may not be met adequately. If you have questions about course sequence completion, please contact our Pre-School of Pharmacy advising staff. For more information, please see our prerequisite coursework page. Q: I took some of my prerequisite courses ten or more years ago. Does this matter? A: The Admissions Committee is concerned with any required math and/or science coursework taken more than ten years ago. Upon transcript review, you may be advised to retake courses completed ten or more years ago. Q: Do all PharmD prerequisite courses need to be completed at the time of application? A: No. Prerequisites can be “in progress” at the time of application, but need to be completed by the time of entrance into the School of Pharmacy in the Fall. Students may use the summer prior to enrollment to complete required work. Please note, however, that applicants who will not have completed calculus and/or first semester organic chemistry by the end of the fall term during which they are applying may be at a disadvantage for admission. Q: Can I take required courses for admission online? A: Maybe. If you need to take an online prerequisite course, please contact us. Each course will be evaluated on a case-by-case basis. Please contact the Admissions Team to discuss your situation. Q: What are the humanities and which courses satisfy the PharmD humanities prerequisite requirement? A: Humanities is an area of study concerned with human beings and their values and achievements. Humanities include philosophy, literature, music, dance, theatre, ancient and medieval history, and courses in the fine arts. If your institution considers a course to be a Humanities course, we will allow the course to count towards our requirement of 6 Humanities credits. The School of Pharmacy also counts foreign language courses as humanities. The PharmD program requires applicants to complete 6 credits of Humanities during their pre-pharmacy coursework completion. Q: What courses satisfy the ethnic (U.S. diversity) studies prerequisite? focuses on the history, experience, or cultural traditions of ethnic/racial minorities in the U.S. Many students take a Cultural Anthropology course to satisfy this requirement, however, there are many other acceptable courses (sometimes they are cross listed in several departments including anthropology, sociology, history etc.). Students should review their course catalog to determine which courses they think will address these topics and then send us the course name and number and we can verify if it will work. A review of the course description often provides enough information for us to make a determination, however, a course syllabus may also be requested. NOTE: The Ethnic Studies course requirement must be taken at an accredited U.S. college/university. Another requirement, Communication “A”, (English Composition) must also be taken in the U.S.
Q: Does the School of Pharmacy accept AP and IB scores as fulfilling prerequisite courses? A: Yes. Current UW-Madison students who are applying to the PharmD program: Credit will be granted according to UW-Madison “credit by exam” policies. For more information on these policies, please visit the credit by exam policies page. Transfer students who are applying to the PharmD program: If your current college/university granted you course credit for your AP/IB test score, and the course is listed on your transcript, the School of Pharmacy will count that course as fulfilling a prerequisite. Q: Are there courses I can take to help lighten my School of Pharmacy credit load? A: School of Pharmacy faculty expended considerable effort to design the PharmD curriculum to be a coherent, sequential whole, with all courses being completed at UW-Madison, and with the course experiences being interdependent. In that light, and to provide an optimal educational experience for students, it has been decided that all courses specifically required in the PharmD curriculum must be completed at UW-Madison (with the exception of physiology). Students may be exempt from taking Physiology 335 during their first semester of the PharmD curriculum. Please see information below. Q: Will I be exempt from taking the Physiology 335 course during the first semester of the PharmD curriculum, if I already successfully completed a college physiology course? A: Physiology 335 is a required 5-credit course in the first semester of the PharmD program. Students who have successfully completed Physiology 335 or 435 at UW-Madison are automatically exempt from taking Physiology 335 as a PharmD student. Students who have completed and earned a B or better in a combined Anatomy and Physiology (2 semesters) or a stand-alone Human Physiology course (1 semester) at a college/university other than UW-Madison will have the opportunity to complete a standardized physiology competency exam. Students who pass this exam will be exempt from taking Physiology 335 during the first semester of the PharmD program. Q: What is the tuition for the School of Pharmacy? A: For information regarding PharmD tuition, see the PharmD tuition page. Q: What financial assistance is available for your accepted students? A: For information regarding financial assistance for PharmD students, see the PharmD Tuition, Scholarships, & Financial Aid page. Q: Does the School of Pharmacy offer any scholarships? A: Yes! Thanks to the generosity of alumni, friends and various organizations/ corporations, the University of Wisconsin-Madison School of Pharmacy is able to award more than 100 scholarships every year. Read more about School of Pharmacy scholarship opportunities on the scholarships page. Incoming PharmD students do not need to complete a specific scholarship application because they are automatically considered for scholarships. 2nd, 3rd, and 4th year PharmD students will need to complete the scholarship application to be considered for scholarships. Q: If admitted to the PharmD program, can I take courses in the evening and/or on a part-time basis? A: No. Our PharmD program is designed for full-time students with the vast majority of courses (including all required courses) occurring between 8 AM and 6 PM. Q: If I am admitted to the PharmD program, where will my education take place? 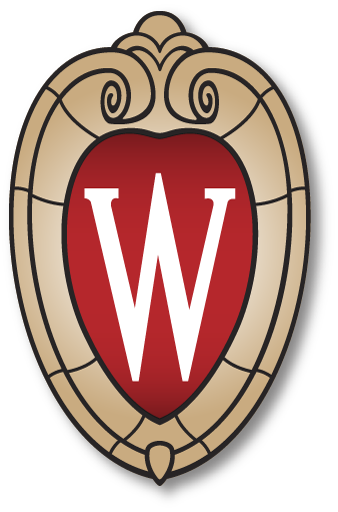 A: The didactic course work in the first three years of the PharmD program takes place on the UW-Madison campus. The clinical PharmD course work takes place at clinical clerkship sites (Advanced Pharmacy Practice Experiences), which are located throughout the state of Wisconsin. For the entire fourth year, students are assigned to various clinical “hubs”, located in various parts of Wisconsin. Students are responsible for their room, board, tuition, and transportation during the fourth year. Q: Do you offer International rotation opportunities for PharmD students? A: Yes. The UW-Madison School of Pharmacy offers International APPE rotations in Belize, China, England, Malaysia, Oman, South Africa, and Thailand. For more information, please visit our International Rotation APPE page. Q: How long is the PharmD program? A: The PharmD program is a full-time, four-year program. Q: Where can I find information about housing at the University of Wisconsin-Madison?